Renesas Electronics Corp. is the world's biggest maker of automotive microcontrollers. Renesas' key Naka plant hasn't been producing since the quake and won't be even partially operational until July. TOKYO -- Toyota Motor Corp. is finding that switching sub-suppliers after the earthquake is daunting. Doing so often requires Tier 1 makers to submit process-change requests or design change requests to carmakers that can take up to several weeks for approval in complicated cases. And many parts are specially designed for one vehicle, so that no replacements exist. Further slowing the process, Toyota is laboriously checking the parts it can get, to make sure that quake-damaged plants are still providing parts that matches original specifications. • Electric wire from Hitachi Cable, Ltd.
• Aluminum electrolytic capacitors from Nippon Chemi-Con Corp.
• Connectors from Hirose Electric Co.
• Wafers from Shin-Etsu Chemical Co.
• Microcontrollers from Freescale Semiconductor, Inc.
A key linchpin for Toyota and other car companies is Renesas Electronics Corp., the world's biggest maker of automotive microcontrollers and a key bottleneck in Japan's parts shortage. Toyota is Renesas' biggest customer, and it is estimated that 80 percent of the microcontrollers, or MCUs, in the Lexus LS460 come from the Japanese chipmaker. Anywhere from 30 to more than 100 MCUs are used in a modern vehicle, and Renesas controls about 41 percent of the global market -- with 90 percent of its global capacity based in Japan. The tiny chips are essential to everything from electronic parking brakes, pre-crash seat belts and engine control units to onboard entertainment systems, stability control and power steering. 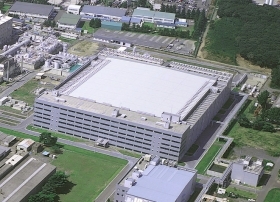 But Renesas' key Naka plant has been not producing since the quake and won't be even partially operational until July. Naka accounts for a quarter of Renesas' global automotive MCU output. Renesas plans to shift some of Naka's production to its Saijo plant in western Japan and another plant operated by an affiliate in Singapore. But that will account for less than half of Naka's capacity, and it could be another two months before production starts up at those sites.